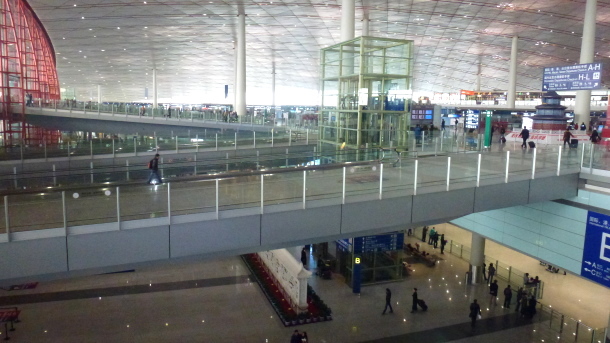 The newest of the three terminals. It was built for the Beijing Olympics. A very beautiful building. 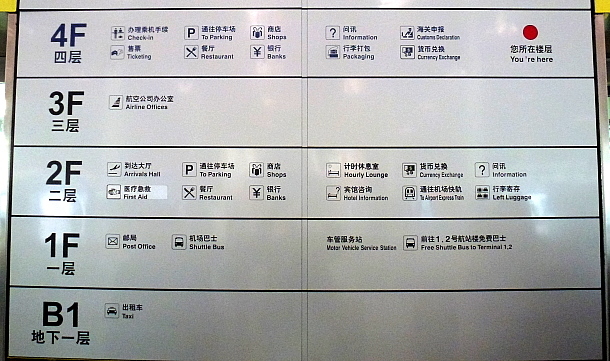 The 'Motor Vehicle Service Station' is located on the first floor on the left, as is the post office where they can make copies for you. 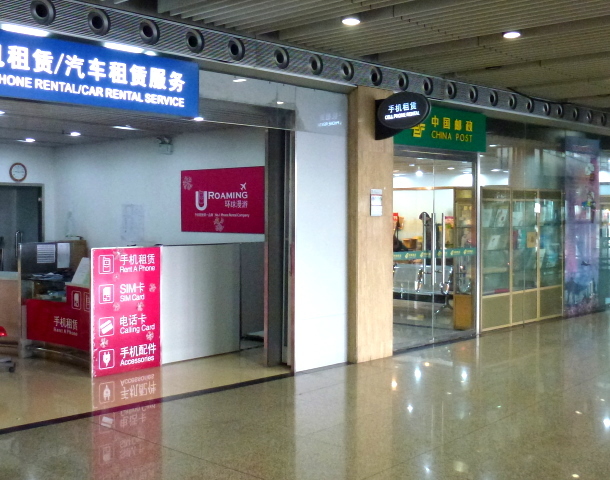 The 'First Aid' is located on the second floor, also on the left side. Here you need to go for your health check. Here you come down from the second floor. When facing the building, the 'Motor Vehicle Service Station' is on the left side. 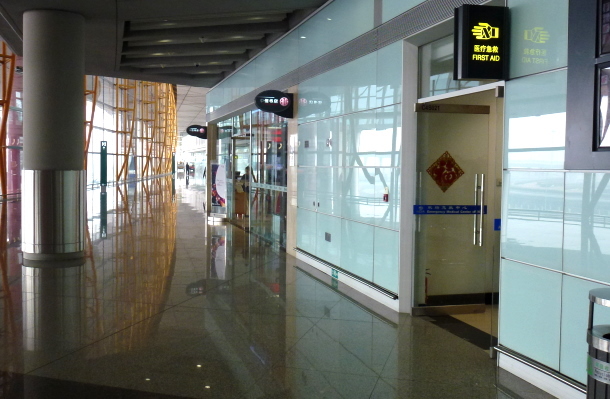 There are signs like this throughout the terminal, just follow them. 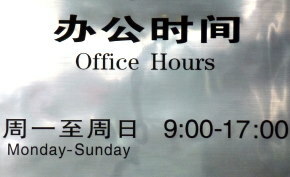 Opened during the week at normal office hours only. For the translations it may be helpful to bring a friend. 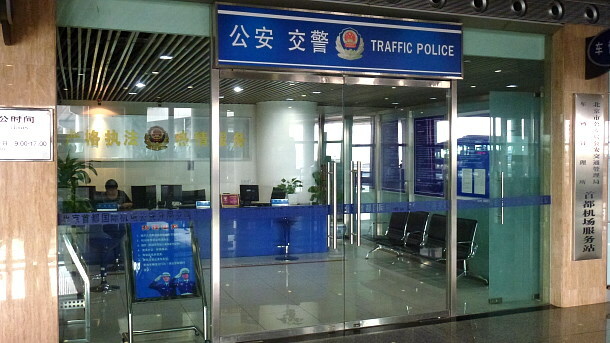 Some of the police speak very good English but some not so much. The photocopies you may need you can get at the post office very close to the 'Motor Vehicle Service Station'. The staff here is very helpful and friendly. 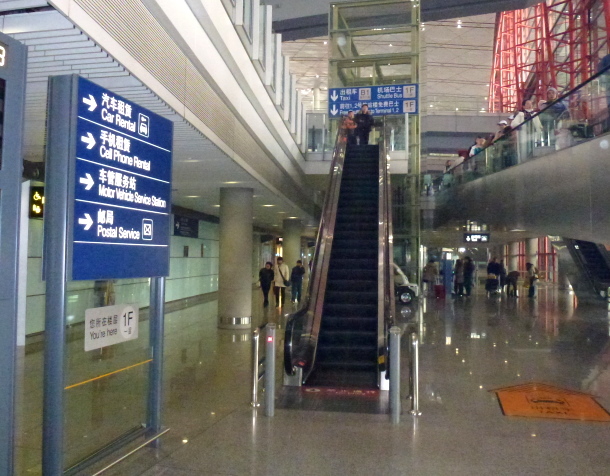 The First Aid station is one floor up, on the second floor towards the left side of the terminal. You will be handed out a form (click to download .pdf) on which the results of the health check will be documented. The check consists mainly of an eye test. The cost is RMB 10. 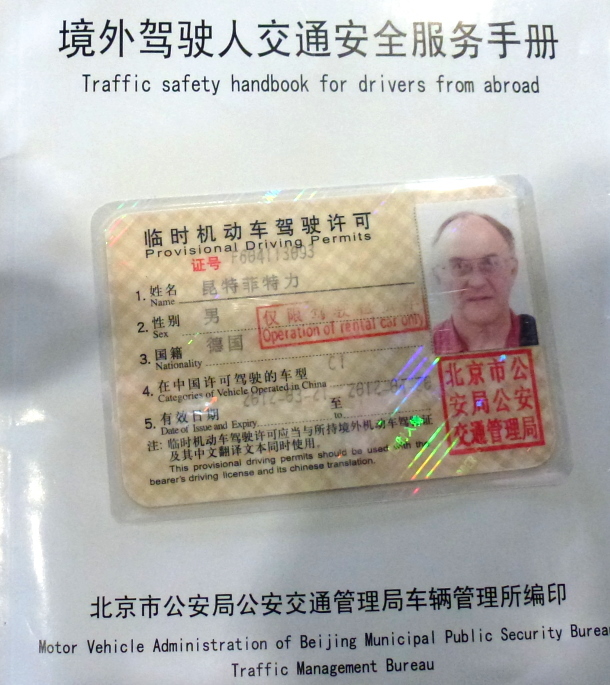 When all paperwork is finished and after paying another RMB 10 you will be the proud owner of a temporary Chinese drivers license. It is valid for the duration of your visa, 30 days for me. It is advisable to keep the copies if you intend to do this again another time, it saves a lot of work.